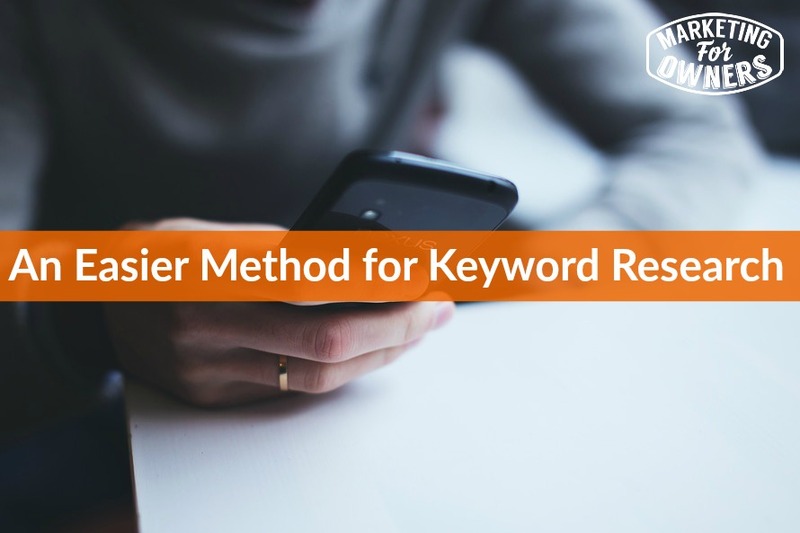 Today we’re talking about keyword research because in your business, in your marketing you need to concentrate on keywords. Keywords are terms you know when you’re searching google, and say you want a new flat screen TV, and you look up something for instance like, I don’t know, Samsung curved TV. That Samsung curved TV is what we call a keyword phrase or keywords, and these are the things people enter into search for in google. Now if you’re a landscape gardener and you’re in a town such as Canterbury, you might need a landscape gardener. You might look in google for landscape gardener Canterbury or something like that and you might then put Canterbury UK, because there’s Canterbury in New Zealand. And I’m sure this is others’ around the world. So you need to have within your content, whenever you write whether it is online, this is especially important online, but also aim your literature in everything else. You need to use the terms that your customers, potential customers use and these are keywords. Now quite often though, we don’t know exactly what keywords are being used by the actual customers. We think we know but assuming things is just not going to help. You cannot base a business on assumptions. You need it on fact, and you need to get inside the head of the list, the reader, the viewer whatever you want to call them, the web visitor you want to get in their head. Now lot of people will go to google keyword planner but, and that’s free. So if you just google it, google keyword planner, you’ll come up with that. Now the trouble is google will give you great information but it will only give you variations based on the term you enter. So to give you an example, if you’re in a smoothie business, this trendy thing at the moment, so if you’re talking about green smoothies or something like that, or smoothies, you might enter the term smoothie maker. One of the things that is unlikely to come up is green drink blender and so that is what someone else maybe looking for instead of a smoothie maker, they may be looking for a blender because that’s what they call it and you might think, well it’s a smoothie maker. It does matter if that’s what they’re looking for, they might be looking for a juicer and they might equate that, and now it’s your job to instruct them when they come along to that page. You say,‘Whoa you may be looking for a juicer, but a juicer doesn’t do this, doesn’t do that, a smoothie maker, or a blender does this. We recommend.’ and that’s your information because that’s the information they want. But you need find out the ways of getting to those terms. So one of them that I recommend is going to industry forums, online forums. There’s’ loads of them. Now in that industry, you for instance you can talk about smoothie makers, you could go to someone like Blends tackle, Kenwood in the UK and find what they call them. Get a list of words and then look for those words, you can actually do your own google research. But if you go to an industry forum where people are talking, or on a forum where people are talking about smoothie recipes, smoothie making, green smoothies etc. and read through, you will start to find a language that real people use and you can make notes and this is how youget ahead of your computation because they aren’t putting the effort into this, to do this work. They are not looking for keywords, well they just go for the basics. And you will start to win and this is when you start to rank higher in google. When your website comes up for things that you never came up for before because you’ve put the effort in and you’re providing interest to people, and google thinks ‘Ah! !’ That’s good. Someone’s entered someone’s looking for a drink blender and you’re they only one that has put it in. Now of course I exaggerate on that because I’m sure someone else would have thought about it. But you will find on those forums, you’ll find little terms that you’ve never even thought of. We, in my fire safety business, we sell megaphones and many people refer to them as loud hailers. So it’s the same thing in effect but a completely different term, so we have to have content that talks about both. But how did I find that out? Through forums. Now other ones are trade magazines. If you’re in a particular industry read the trade magazines’ letters to the editors from people. Not the trade magazine stuff, read the letters to the editors. If there aren’t any fine ones, then have some that’s because that’s what real people use. Go to question and answer sites. Ones like yahoo answers or www.Quora.com and look at the questions that people ask search for, put in your smoothie maker whatever it is and see what people ask. What you’re looking for is the language that real people use because the real people are your customers or potential customers, you want to have the answer in the wording that they are using. Perhaps you’ve had letters, you’ve had inquiries, speak to the people that answer your phones and talk to your customers on the phones, ask them what kind of terms they may use. Make a long list. Don’t worry the list is long. And then how about putting out a survey from survey monkey or google forms or something like that? Put out a survey and ask your questions, ask questions to your customers, and give them a bit of scope every now and again to answer one in their own words, because you’ll find out what they use. You could even ask them. Say if you will look for us in google what would you actually search for to find our business? You’ll be amazed how many people will just tell you. You can look at news sites. You can look at unrelated sites where people discuss the subject, such as places like upworthy, buzzfeed or sites like this. They’ve got search things, so again go on them, put in smoothie maker. At some point rather, they will have discuss it and see how they word it. See what they came up with. Then search for your term in Wikipedia and places you can, there is free tool keyword that comes up with strings and loads of stuff. They have a paid version but the free one is really helpful, you can get so much in that, that’s actually good fun, whoa whoa it’s not actually fun but you know what I mean. How about going on to amazon, you know the at the top in the search bar on amazon? When you’re looking for smoothie maker, so you start to type it in the search bar at the top, and it comes up with what’s called predictive search. So if you put in smoothie maker ,they’ll bring up everything that’s related. Now that’s based on an algorithm on what everyone has searched for in the thing, and ended up on a page. So they’ll give you ideas there that people who are looking to buy stuff of used even better. And as well as that, then go to the comments and reviews on each product, where you will find a gold mine of keyword research to see how people word stuff, and what they took about, and what their problems are. Look in blog comments. Look in complaint sites. Even when people complain about stuff, there are loads of sites, and reviews. You know TripAdvisor type things, that’s for travel, but there are sites like that for most industries. Look at what people use when they complain about it because when they complain, people love to hear the sound of their own voice, in words. So go for that. And review sites, when people are actually giving compliments, see how they word it. So there you go. That is huge. I mean you should never be at a loss for keyword research, but don’t just use technical tools. Use the words that people really use, real live people. It’s a Thursday which means it’s time for a Drive Time Podcast. Today I have got a very lively guy. This is Leslie Samuel. 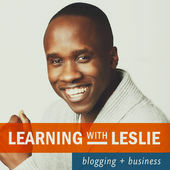 So Leslie’s podcast is called Learning with Leslie. He’s been doing it a while, he’s very lively, he gives tips on how to build your website online and how to build your web presence. A lot of things are similar to things I talk about. But you don’t want to just listen to me, do you? Because someone else might have another opinion. Leslie is good but he’s very lively, and I like him so he’s nice fun to listen to. And they are not too long. Go give him a go.